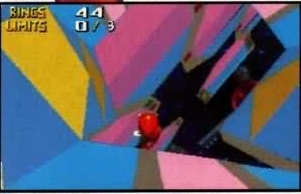 Here is Knuckles running through the hexagonal special stage, but there are no objects at all. Also, the amount of 'limits' needed is three, but no level needs three, the minimum is four in the final. 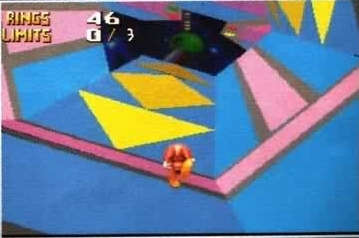 Again, the same situation, a completely empty level with three limits. Again, same level, but this time there is no HUD whatsoever. 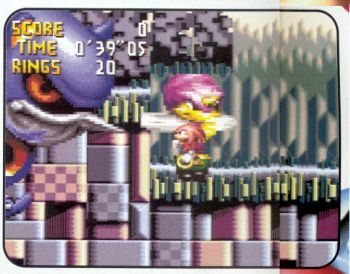 In this picture Vector is overlapping a gigantic Charmy Bee. 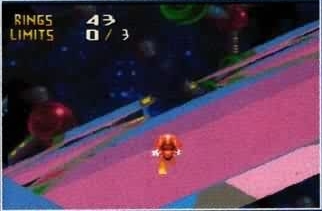 In the final game the blown up character will overlap the smaller image. 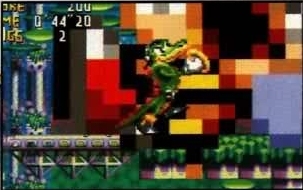 Like the image above, the playable character is overlapping the secondary character, who is being "called". In the final the enlarging character will appear in front of the playable character. 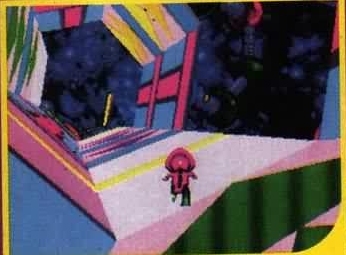 This is the final ending section of a level. Firstly, the ring looks a little out of place, prehaps a little low. Secondly, the 3D act lear sign isn't completely finished yet. 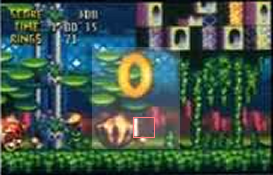 In the final the sides have a picture of Eggman, but here isn't just black, as pointed out by the circle.